For other uses, see Double agent (disambiguation). "Triple agent" redirects here. For the 2004 French thriller film, see Triple Agent. Double agentry may be practiced by spies of the target organization who infiltrate the controlling organization or may result from the turning (switching sides) of previously loyal agents of the controlling organization by the target. The threat of execution is the most common method of turning a captured agent (working for an intelligence service) into a double agent (working for a foreign intelligence service) or a double agent into a re-doubled agent . It is unlike a defector, who is not considered an agent as agents are in place to function for an intelligence service and defectors are not, but some consider that defectors in place are agents until they have defected. Walter Dicketts "Celery" English Double-Cross System (1940-1943) Ex RNAS officer sent to Lisbon and Germany to infiltrate the Abwehr, report on invasion plans for Britain, and establish the bona fides of Snow (subsequently imprisoned until the end of war). Subjected to an intensive five-day interrogation in Hamburg and survived. Later sent back to Lisbon to persuade Abwehr officer, George Sessler, to defect and worked undercover in Brazil. MI6 (1941-1945) Abwehr (1941-1945) Anti-Nazi German intelligence officer and British double agent. Jebsen recruited Dušan Popov. Ivan Popov "LaLa" "Aesculap" "Dreadnought" "Hans"
MI6 (1941-1945) Abwehr (1941-1945) Yugoslav working for his national military agency VOA. He also worked for British MI6 and German Abwehr. In German Gestapo he held rank of Obersturmbannführer. Brother of Dušan Popov. Dušan Popov "Duško" "Tricycle" "Ivan"
MI6 (1940-1945) Abwehr (1941-1945) Yugoslav working for his national military agency VOA. He also worked for British MI6 and German Abwehr. In British army he held rank of Colonel. Brother of Ivan Popov. John Herbert Neal Moe "Mutt and Jeff"
Tor Glad "Mutt and Jeff"
U.S. citizen FBI (1939) Abwehr (1939) Coerced by the Abwehr into becoming a spy, exposed the Duquesne Spy Ring to the FBI. Oleg Gordievsky "Sunbeam" "Nocton" "Pimlico" "Ovation"
Russian MI6 (1968-2008) KGB (1963-1985) Abducted in Moscow in 1985; escaped to the United Kingdom two months later. Matei Pavel Haiducu Romanian DST (1981) DIE (1975-1982) Defected to France in 1981. CIA GRU Executed in 1988. American GRU FBI Worked for the FBI and sold information to the Soviet Union as a mole. MI6 GRU A colonel with GRU informed the U.K. and the U.S. about the Soviet emplacement of missiles in Cuba; executed by the Soviets in 1963. Swedish GRU SÄPO Among other things, handed over the entire Swedish "FO-code", a top secret list of Sweden's defence establishments, coastal artillery fortifications and mobilization stores. Convicted in 1979 and sentenced to life imprisonment for treason. Egyptian Mossad Egypt Egyptian businessman and an alleged spy for Israel, or possibly an Egyptian double agent; managed to become celebrated as a hero in each country for his alleged work against the other. Sinn Féin Assassinated at his cottage in County Donegal after being exposed by a Northern Ireland newspaper, The Derry Journal . born in Mauritius British Army Provisional IRA Murdered by the Provisional IRA in County Louth in 1977. A triple agent is a spy who pretends to be a double agent for one side, while he or she is truthfully a double agent for the other side. Unlike a re-doubled agent, who changes allegiance due to being compromised, a triple agent is usually considered to have always been loyal to their original side. It may also refer to a spy who works for three opposing sides, such that each side thinks the spy works for them alone. The definitions of a double agent, re-doubled agent and triple agent are not easily explained and there is some discourse and overlap in defining them due to the individual complexities of the role. The Camp Chapman attack was a suicide attack by Humam Khalil Abu-Mulal al-Balawi against the Central Intelligence Agency facility inside Forward Operating Base Chapman on December 30, 2009. One of the main tasks of the CIA personnel stationed at the base was to provide intelligence supporting drone attacks against Pakistan. Seven American CIA officers and contractors, an officer of Jordan's intelligence service, and an Afghan working for the CIA were killed when al-Balawi detonated a bomb sewn into a vest he was wearing. Six other American CIA officers were wounded. The bombing was the most lethal attack against the CIA in more than 25 years. The Cold War was a period of geopolitical tension between the Soviet Union with its satellite states, and the United States with its allies after World War II. A common historiography of the conflict begins between 1946, the year U.S. diplomat George F. Kennan's "Long Telegram" from Moscow cemented a U.S. foreign policy of containment of Soviet expansionism threatening strategically vital regions, and the Truman Doctrine of 1947, and ending between the Revolutions of 1989 and the 1991 collapse of the USSR, which ended communism in Eastern Europe. The term "cold" is used because there was no large-scale fighting directly between the two sides, but they each supported major regional conflicts known as proxy wars. The Clandestine HUMINT page deals with the functions of that discipline, including espionage and active counterintelligence. This page deals with Clandestine HUMINT operational techniques, also called "tradecraft". It applies to clandestine operations for espionage, and for a clandestine phase prior to direct action (DA) or unconventional warfare (UW). Clandestine HUMINT sources may also act as local guides for special reconnaissance (SR). Dangle is a term used in intelligence work to refer to an agent or officer of one intelligence agency or group who pretends to be interested in defecting or turning to another intelligence agency or group. In politics, dual loyalty is loyalty to two separate interests that potentially conflict with each other, leading to a conflict of interest. Espionage or spying, is the act of obtaining secret or confidential information without the permission of the holder of the information. Spies help agencies uncover secret information. Any individual or spy ring, in the service of a government, company or independent operation, can commit espionage. The practice is clandestine, as it is by definition unwelcome and in many cases illegal and punishable by law. Espionage is a method of intelligence gathering which includes information gathering from public sources. The Defense Intelligence Agency (DIA), an external intelligence service of the United States federal government, specializes in defense and military intelligence. Human intelligence is intelligence gathered by means of interpersonal contact, as opposed to the more technical intelligence gathering disciplines such as signals intelligence (SIGINT), imagery intelligence (IMINT) and measurement and signature intelligence (MASINT). In espionage jargon, a mole is a long-term spy who is recruited before having access to secret intelligence, subsequently managing to get into the target organization. However, it is popularly used to mean any long-term clandestine spy or informant within an organization, government or private. In police work, a mole is an undercover law-enforcement agent who joins an organization in order to collect incriminating evidence about its operations and so bring its members to justice. An Intelligence Officer is a person employed by an organization to collect, compile and/or analyze information which is of use to that organization. The term of 'Officer' is a working title, and is not to be confused with rank as in the police services, where Sergeants are also 'Police Officers,' or with Non-Commissioned Military ranks that can be Intelligence Officers as well. Organizations which employ intelligence officers include armed forces, police, civilian intelligence agencies, customs agencies and private corporations. The Foreign Intelligence Service of the Russian Federation or SVR RF is Russia's external intelligence agency, mainly for civilian affairs. The SVR RF succeeded the First Chief Directorate (PGU) of the KGB in December 1991. The headquarters of SVR are in the Yasenevo District of Moscow. 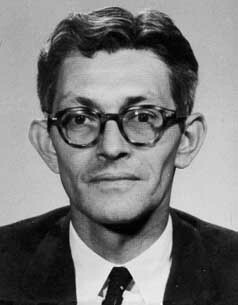 James Jesus Angleton was chief of CIA Counterintelligence from 1954 to 1975. His official position within the organization was Associate Deputy Director of Operations for Counterintelligence (ADDOCI). Angleton was significantly involved in the US response to the purported KGB defectors Anatoliy Golitsyn and Yuri Nosenko. Angleton later became convinced the CIA harbored a high-ranking mole, and engaged in an intensive search. Whether this was a highly destructive witch hunt or appropriate caution vindicated by later moles remains a subject of intense historical debate. The Directorate of Operations (DO), less formally called the Clandestine Service, is one of the smallest components of the US Central Intelligence Agency. 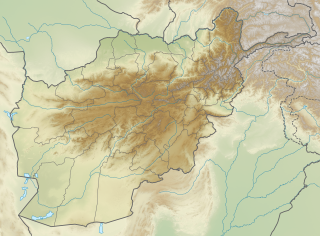 It was known as the Directorate of Plans from 1951 to 1973; as the Directorate of Operations from 1973 to 2005; and as the National Clandestine Service (NCS) from 2005 to 2015. Enemies: How America's Foes Steal Our Vital Secrets – And How We Let It Happen is a 2006 book by Bill Gertz. In this book, Gertz brings to light instances where national security had been damaged by negligence and incompetence. Gertz makes the claim that more high-level attention is needed, as well as more resources, better leadership and proactive programs. Clandestine human intelligence is intelligence collected from human sources using clandestine espionage methods. These sources consist of people working in a variety of roles within the intelligence community. Examples include the quintessential spy, who collects intelligence, couriers and related personnel, who handle an intelligence organization's (ideally) secure communications, and support personnel, such as access agents, who may arrange the contact between the potential spy and the case officer who recruits them. The recruiter and supervising agent may not necessarily be the same individual. Large espionage networks may be composed of multiple levels of spies, support personnel, and supervisors. Espionage networks are typically organized as a cell system, in which each clandestine operator knows only the people in his own cell, perhaps the external case officer, and an emergency method to contact higher levels if the case officer or cell leader is captured, but has no knowledge of people in other cells. This cellular organization is a form of compartmentalisation, which is an important tactic for controlling access to information, used in order to diminish the risk of discovery of the network or the release of sensitive information. National governments deal in both intelligence and military special operations functions that either should be completely secret, or simply cannot be linked to the sponsor. It is a continuing and unsolved question for governments whether clandestine intelligence collection and covert action should be under the same agency. The arguments for doing so include having centralized functions for monitoring covert action and clandestine HUMINT and making sure they do not conflict, as well as avoiding duplication in common services such as cover identity support, counterespionage, and secret communications. The arguments against doing so suggest that the management of the two activities takes a quite different mindset and skills, in part because clandestine collection almost always is on a slower timeline than covert action. Clandestine HUMINT asset recruiting refers to the recruitment of human agents, commonly known as spies, who work for a foreign government, or within a host country's government or other target of intelligence interest for the gathering of human intelligence. The work of detecting and "doubling" spies who betray their oaths to work on behalf of a foreign intelligence agency is an important part of counterintelligence. 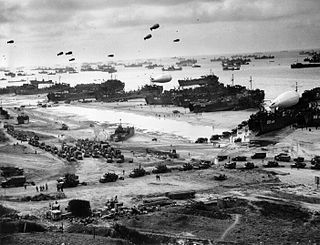 There is a long history of close cooperation between the United States and the United Kingdom intelligence services; see Clandestine HUMINT and Covert Action for World War II and subsequent relationships. There are permanent liaison officers of each country in major intelligence agencies of the other, such as CIA and Secret Intelligence Service ("MI6"), FBI and the Security Service (MI5), and National Security Agency (NSA) and Government Communications Headquarters (GCHQ). The Defense Clandestine Service (DCS) is an arm of the Defense Intelligence Agency (DIA), which conducts clandestine espionage activities around the world to answer national-level defense objectives for senior U.S. policymakers and military leaders. Staffed by civilian and military personnel, DCS is part of DIA's Directorate of Operations and works in conjunction with the Central Intelligence Agency's Directorate of Operations and the U.S. military's Joint Special Operations Command. DCS consists of about 500 clandestine operatives, which is roughly how many case officers the CIA maintained in the early 2000s prior to its expansion. David Henry Blee served in the Central Intelligence Agency (CIA) from its founding in 1947 until his 1985 retirement. During World War II in the Office of Strategic Services (OSS), he had worked in Southeast Asia. In the CIA, he served as Chief of Station (COS) in Asia and Africa, starting in the 1950s. He then led the CIA's Near East Division. ↑ "Definition of DOUBLE AGENT". merriam-webster.com. Retrieved 21 February 2018. 1 2 Begoum, F.M. "Observations on the Double Agent". Central Intelligence Agency. Retrieved January 5, 2010. ↑ García, Juan Pujol; West, Nigel (2011). "Childhood". Operation Garbo: The Personal Story of the Most Successful Spy of World War II. Biteback Publishing. ISBN 9781849546256. ↑ Becker, Brian (12 December 2016). "How Cuba Penetrated the CIA Ring in Cuba: Spy VS Spy-Hunter". Loud & Clear. Sputnik. 1 2 3 Berkeley, Bill (1989-10-22). "Apartheid's Spies". The Washington Post. Retrieved 2018-10-18. 1 2 3 Dube, Benson (2014-02-21). "Philip Conjwayo dies". Southern Eye. Retrieved 2018-10-22.